The cheapest way to get to Stonehenge from London is to take a direct bus from Central London or to take a combination of train and bus. The Shuttle Bus starts at just £39 and includes entrance tickets to Stonehenge, as well as transportation. Departures are available every day in the morning and afternoon from Victoria Coach Station. The alternative is to take a train from Waterloo Station to Salisbury and from here a bus to Stonehenge. This will cost in total around £45 depending on the price of train tickets which can vary. The Stonehenge shuttle bus departing from Central London is the cheapest and most convenient way of getting to Stonehenge. The service includes entrance tickets and transportation with wifi on the bus. The price also includes an audio guide with an explanation about the site. The cheapest way to get to Stonehenge from London by public transport is to take the train and bus. There is a direct train from London Waterloo station to Salisbury Station with a direct train every hour which takes around 1hr20m. Bear in mind that train tickets in the UK can be very expensive (as much or even more than £55 for a return journey! ), especially if you don’t book the tickets in advance. 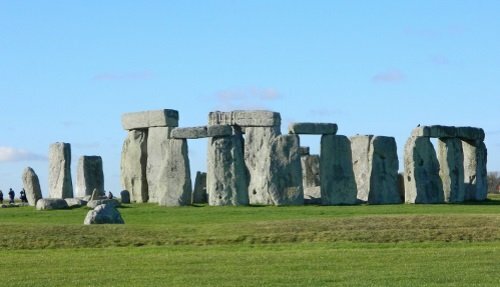 From Salisbury Station, there is a private bus to Stonehenge which takes 30 minutes direct. The bus is actually run by a private company called ‘The Stonehenge Tour‘ and offers various ticket options, including tickets that also include stops at nearby Old Sarum and Salisbury Cathedral. 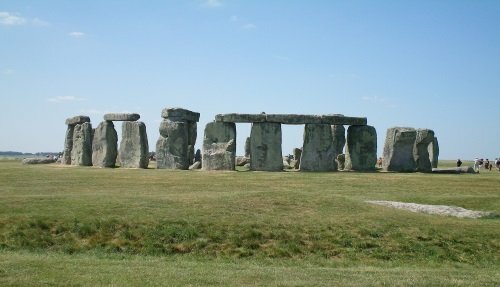 Both places are both worth a visit and can add to the overall Stonehenge experience. 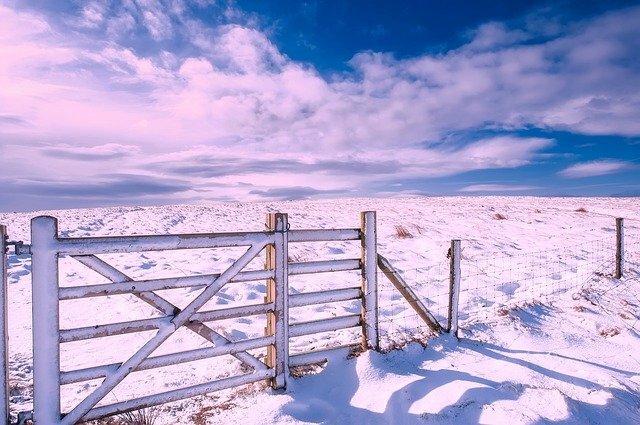 The ticket works like a hop-on hop-off bus, meaning you can spend as much time as you want at Stonehenge, Old Sarum or Salisbury Cathedral and the buses run every hour. Also in the summer months the company tends to increase its service. There are three types of bus ticket: Ticket 1 (£15 per adult) includes just the bus ticket to Stonehenge without an entrance ticket to the site. Ticket 2 (£28 per adult) includes Stonehenge with a fast-track entrance ticket to the site and Old Sarum. Ticket 3 (£34 per adult) includes Stonehenge with entrance ticket plus Old Sarum and Salisbury Cathedral. You can find more details about the tickets at their website. 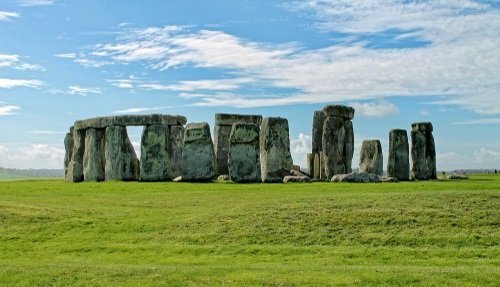 If you book the train tickets in advance, then this can sometimes work out as the cheapest way of getting to Stonehenge from London. Also bear in mind that most people won’t spend more than 1.5 hours in Stonehenge because there isn’t a huge amount to see. So combining a visit with places like Salisbury, or with tours that head to other nearby places like Bath or Stratford-upon-Avon can make sense. Stonehenge is located in the Wiltshire countryside, about 90 miles from London. It can be accessed off of the A360 at Airman’s Cor­ner. If you are using a SATNAV, the Post Code for Stonehenge is SP4 7DE. Bear in mind that if you are driving a car from Central London to Stonehenge you will have to pay the London Congestion Charge which is a flat rate which is normally £11.50. A typical visit to Stonehenge lasts about 2 hours. 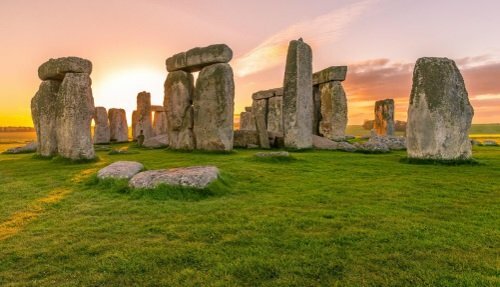 In order to make a full day trip, why not combine a visit to Stonehenge with nearby sites like Windsor Castle, Bath or Oxford? Our tours to Stonehenge depart throughout the week and are an excellent way to discover the history and heritage of England. Tours are offered with professional tour guides and some tours also include lunch. Stonehenge is an ancient Neolithic site built in stages over a period of 1,000 years. Its stone circles were built as some sort of prehistoric temple aligned with the sun. Highlights of a visit include seeing the ditches, banks, henges, Sarsen and Blue Stones, Heel Stone and Slaughter Stone. One of the best times to visit Stonehenge is at sunset where the sun glistens and beams as it descends through the stones. 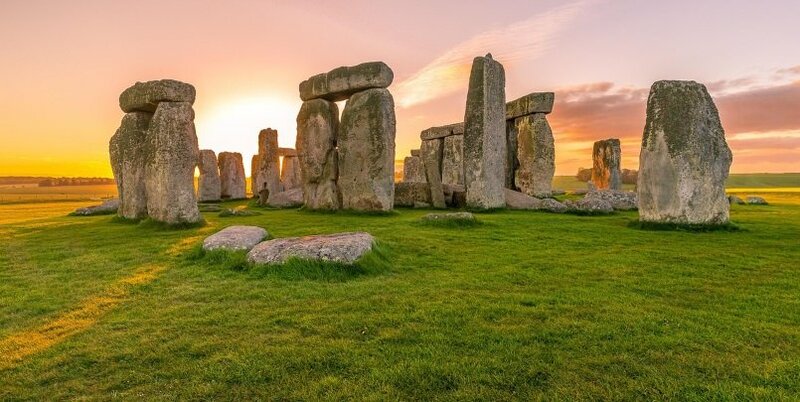 One of the most popular attractions for visitors in the UK, Stonehenge has been designated a UNESCO World Heritage Site due to its significance to historical Britain. What lies behind its sheer beauty is a story of incredible achievement. Ancient Neolithic man built at Stonehenge a masterpiece of architectural engineering at a time with only the most basic and rudimentary implements and tools were available. Transporting enormous rock over hundred of miles, calving them and then lifting them into place required an extraordinary amount of sophistication in terms of planning and implementing. The sheer scale of the project suggests that this was once an extremely important site for ancient man. For more information, check out our comprehensive Stonehenge travel information section.